Olympic Achievement Starts With a Dream! I have been dreaming big and setting goals, achieving all I set my mind to, aiming high, and living life fully since I was a young girl. I grew up in gorgeous Teton Valley, once a small farming community, now a tourist destination. I was raised on a farm, learning the significance of hard work. My parents moved us off the farm to town, where they purchased the Pines Motel, from my grandparents, when I was 11 years old. We rarely watched television growing up, but we were always sure to watch the Olympics! I have always loved watching the Olympics! I was the girl watching the winter or summer Olympics, dreaming that it was me up there on the podium. There has always been this strong drive in me to work hard, to do my very best, to live fully, strongly competitive with myself, and never giving up on anything. I have always loved helping others succeed and do their best as well, feeling just as excited with their success as with my own. I would watch those amazing athletes competing in the Olympics every 2 years! Then, there I would be, outside training to be an Olympic track star, a sprinter, running the mile, the two mile, jumping the hurdles, lifting weights, running in 5 degrees below zero, running with my heavy winter boots on and carrying weights, watching all of the Rocky movies to stay motivated when the Olympics were over, doing fitness videos at age 11, early in the mornings before the rest of my family of 8 was even awake. I loved team sports, competing on the basketball team, volleyball team, running track since 6th grade, running cross-country, on the cheer squad, gymnastics, ice skating on the pond my dad made on the south side of our house each winter, learning to ski at Grand Targhee and then racing my little heart out in the school events. Completing all highest awards in 12 years of Girl Scouting, and in 4-H for years, winning medals, grand champion ribbons, and trophies. My Favorite Olympic Athlete, Flo Jo!! A few highlights in my life were getting the opportunity to meet some of my favorite Olympic athletes, Gail Devers, Flo Jo (Florence Griffeth Joyner), Jackie Joyner Kersey, and Stacy Dragila (my University track coach), to name a few. At the age of 15, I was chosen for a Wider Opportunity, to represent Idaho as a Girl Scout. One scout was chosen from each state to represent their own state in Atlanta, Georgia. I got the thrill of my life flying to Atlanta, Georgia, in June 1995, for a sneak peak of the 1996 Summer Olympic Games. All 50 scouts were there for 15 days, touring each Olympic venue, meeting more Olympic athletes, participating in Olympic events. We got to take a tour of the World of Coca-Cola, proud sponsor of the Olympics, and touring the Olympic news coverage ESPN, headquarters. All the scouts as well, thrilled at getting to sit on the very bench that Tom Hanks sat on in Savannah, Georgia, when he acted in the film “Forrest Gump,” the great American drama filmed in 1994! Later taking a tour in a horse drawn carriage at night through the streets of Savannah, listening to the ghost stories. All of my hard work as an athlete and a dreamer, growing up in a small town, came as true as possible having been chosen for this event. At the age of 16, I was so inspired by so many different people in my life, that I thought it would be amazing to one day be a motivational speaker. I wanted to reach thousands with a vision of hope, of purpose, of determination, to encourage the downcast, to uplift the broken in spirit, to bring healing to the minds of those who had suffered in any way, to set the heart of many free. My life was so full and I had this need to be sure others also were given the opportunity to succeed no matter what. I went on a few mission trips to Mexico, to help in building projects, to help conduct Vacation Bible School programs, and to have my eyes opened to how others lived their life. By the age of 20, I was body building, studying health, fitness, nutrition, and entering many long distance races, triathlons, growing in my understanding of anatomy and physiology. I have always been fascinated by the human body. We are all capable of more than we ever realize. The Olympics is a perfect example of the perfection of the human anatomy. This fascination is what always grew my desire to succeed, to go further, try harder, encourage and inspire others along the way. Having been blessed with so many wonderful opportunities to serve others on their journey of health has been so satisfying. To lift others up with the gift of love, grace, passion, and to listen with a compassionate heart, have always directed my choices in life. Fast forward to the present. 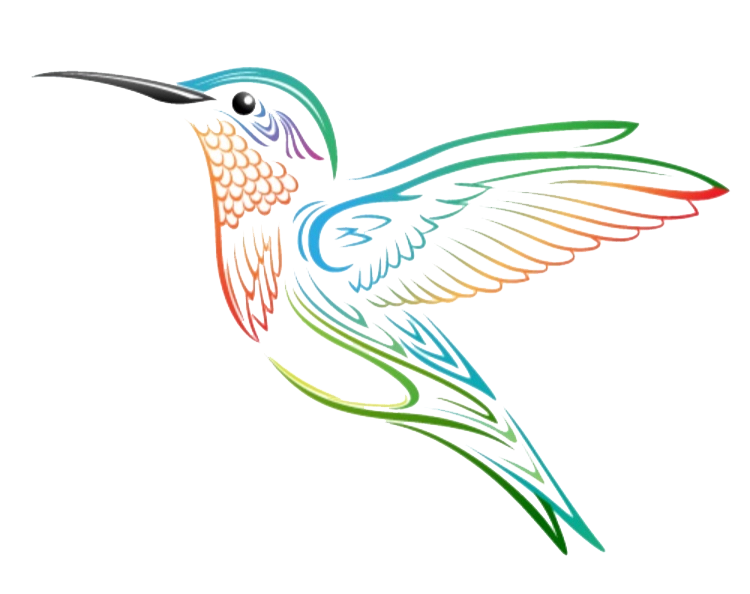 To see many of my own dreams come true through the opening of Hummingbird Yoga, I have to pinch myself to know that it is my new reality. To come full circle through my travels around the world and back into my hometown, is a gift, a second chance at life (please see my other posts on my blog). To offer a place of love, support, a listening ear, a room full of grace, a laugh when needed, encouragement, strength for those who need support, a place to allow tears to arise as emotions surface during classes……this is my dream come true for others too. In having the blessing of drawing from the strengths I have gained through life experiences that I never dreamed would happen to me, is yet another gift to offer others. Embracing all who step into the room with open arms, a smile of love, an understanding heart, and a willingness to learn from their journey as well. A huge thank you, to all of the beautiful women and great men who have all come alongside Hummingbird Yoga in the last month of opening, you have been astounding. My husband, with his encouragement, support, advice, listening ear, unending patience with all of my enthusiasm, and sharing in my vision to “be the change,” has brought tears to my eyes and a tangible space to my dreams. My parents, always watching little Ruthie go out with her whole heart and get up no matter how many times she falls! My father, who always told me to aim high, never give up, “reach for the moon and if you miss you will land among the stars!” My sister, Andrea, and my mother, who both listen to my every thought, know me so well, watch me spin in circles and then collapse and yet……are always there to hold out their hand to support me again. Each person, a key to the success of offering a breath of fresh air to our community. All with the same vision to support, uplift, encourage, build up, love, bring about healing and strengthen the lives of individuals, families, and our community. I am absolutely honored and grateful for the opportunity to serve Teton Valley in this capacity with so many others. May we be men and women of action, of purpose, of motivation and encouragement driven from the heart, from the core of our being to bless those that step into our lives each day. We are all Olympians, we are all champions, we all have purpose, we all have opportunity to make today more golden than yesterday! May you stand strong in your truth, hold firm to your dreams, keep close those you love, walk with integrity, hold your head high, be proud of your past journey to live your life with conviction, with ambition, with motivation to encourage others from your own life experiences! You are amazing just the way you are, and yet, there is so much more in store for this one amazing life you have been given! Hold onto hope, and let go of doubt! Trust yourself to be your best self today!! PreviousSuccess begins with a Dream!! Never stop dreaming!! NextThe Benefits of Hot Yoga are Many!